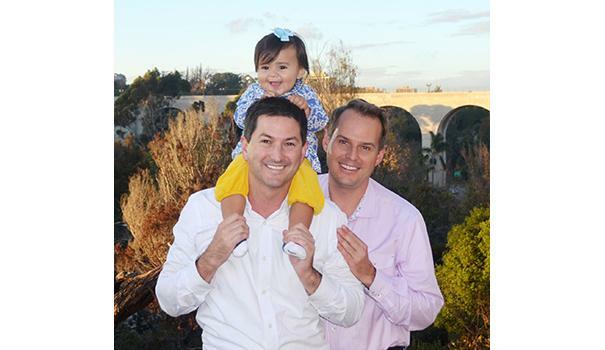 Councilmember-elect Chris Ward knows he has some really big shoes to fill in District 3, following in the footsteps of Todd Gloria, Toni G. Atkins and Christine Kehoe. But he is also confident that his public service as chief of staff to state Sen. Marty Block has prepared him well for the challenging task of helping to lead America’s eighth-largest city in its ambitious quest to become a world-class destination. 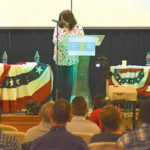 Ward won an outright victory in the June 7 primary against fellow Democrat Anthony Bernal and a third candidate who barely campaigned. As a result of his landslide win, Ward does not have to face a runoff on Election Day, Nov. 8, and he will be sworn into office on Dec. 12 when the new City Council takes over. Ward and his partner, Thom Harpole, live in University Heights with their 2-year-old daughter, Betty, and their cairn terrier, Monty. 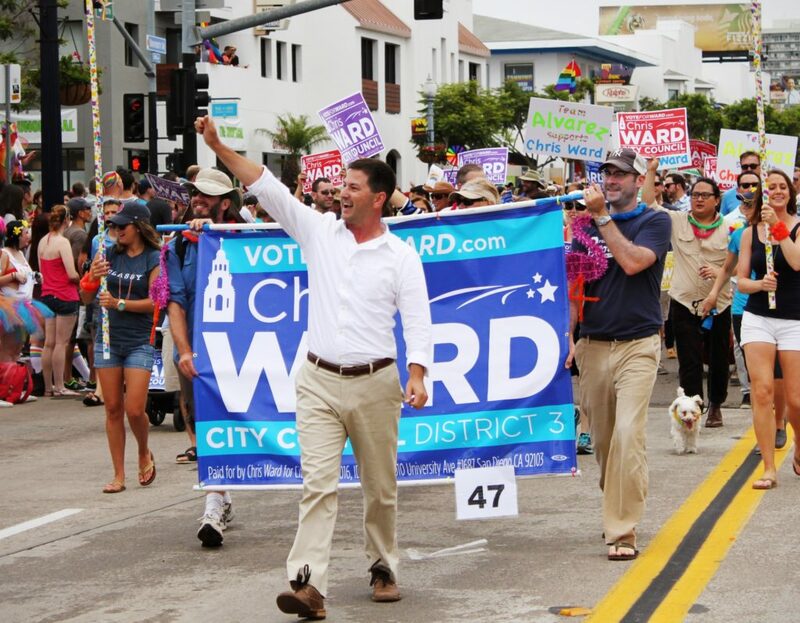 In 2015, Ward began campaigning for the District 3 seat, attending hundreds of community meetings and social events, and knocking on doors to hear the concerns of local residents. His being gay, Ward said, was rarely an issue on the campaign trail. Ward has endorsed Georgette Gomez, who faces fellow Democrat Ricardo Flores in the runoff for the District 9 seat to replace a termed-out Marti Emerald. District 9 includes Kensington, Talmadge, City Heights, Rolando and other neighborhoods surrounding San Diego State University. Ward is also backing Democrat Barbara Bry, who is all but assured of winning District 1 after her opponent Ray Ellis dropped out, citing Republican presidential candidate Donald Trump’s negative effect on local elections. Ellis’ decision to quit the race – his name remains on the ballot, however – means that Democrats are expected to retain their thin majority on City Council. Tackling homelessness and providing affordable housing are among the top issues for Ward. “There is a strong, pent-up demand across the board to find solutions to the homelessness problem,” Ward said, adding that he has been doing his homework on this national problem. He recently went to Washington, D.C. with Mayor Kevin Faulconer and other local leaders to plead with the Department of Housing and Urban Development (HUD) to readjust a decades-old formula so that San Diego gets its fair share of federal dollars to combat homelessness. San Diego ranks fourth in the U.S. in homeless population with almost 5,000 men, women, teens and children sleeping on the streets, and another 4,000 living in shelters or temporary housing, according to federal statistics. America’s Finest City is second in California, only trailing the much larger Los Angeles in the number of homeless people. “Homeless citizens are my citizens, too,” Ward said. He hopes to follow Gloria in having a seat on the Regional Continuum of Care Council. In District 3, concentrations of the homeless include in East Village, Hillcrest, North Park and Balboa Park. “I suspect a densification of the homeless in pockets close to transit and services,” Ward said, worrying that the homeless population Downtown has doubled in the past year. Ward supports the “Housing First” movement, an action plan to create additional affordable housing with supportive services. He has studied how other cities have tackled the homelessness issue, but noticed how those cities were successful because of low land values – contrasted to San Diego’s land value being among the highest in the U.S. This year, California lawmakers passed the “No Place Like Home” initiative that provides $2 billion to assist local communities for the construction and rehabilitation of permanent supportive housing for homeless individuals with mental illness. Ward said San Diego will be able to tap into that fund. Ward applauded the mayor for hiring Stacie Spector, a former official in the Clinton Administration, as senior advisor for housing solutions. Spector will coordinate and unify housing efforts citywide and across the region, tasked with developing a comprehensive strategy to reduce the number of people living on the streets. No matter the success level of any homeless program, Ward said, he realizes that some people will refuse to leave the streets. He estimates that 20 percent to 30 percent of the homeless will never seek services or permanent housing. Ward sees a link between the lack of affordable housing and the sharp increase in homelessness. Because of the high cost of living, many local residents are living paycheck to paycheck. A job loss, a serious illness or any number of factors could cost people their home. Not only do families and millennials seek affordable housing, but so do senior citizens and the disabled who live on a fixed income. The waiting list for subsidized housing is said to be 10 years, so the city is lagging far behind in providing for its most needy residents. “We have a crisis today,” Ward continued. “It’s not just the millennials who want to live, work, shop and play in their community. 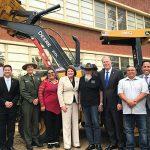 … We need to get serious about supply and demand” regarding affordable housing. Over the past eight years, community stakeholders including the Uptown Planners, North Park Planning Committee and the Greater Golden Hill Planning Committee have been working on their Community Plan Updates (CPUs), which are part of the city’s General Plan and a policy guideline for future development. The three groups have been trying to address the shortage of affordable housing by providing incentives in the CPUs. Ward was a member of the Uptown Planners until he stepped down to campaign, so he is very familiar with the affordable-housing issue. He is also aware that a number of residents do not want to see their neighborhoods to change and who fear density will transform their communities for the worse. 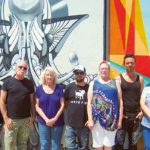 Yet, Ward pointed to projects such as La Boheme in North Park and the Atlas at Hillcrest as developments that have breathed new life to their immediate neighborhoods. “These projects were in the highest-density range,” he said. Ward hopes the current City Council will approve the three CPUs this year before the new council is seated in December, and he observes that the North Park and Golden Hill updates are “closer to something that is acceptable by all stakeholders.” He does not think the Uptown update has a similar consensus among stakeholders. “The good news is that all three of our CPUs are showing that when you run these analyses on paper that there is a sign of improvement in transit uses in the future,” he said. The city’s ambitious Climate Action Plan (CAP) mandates the city slash its carbon footprint in half by 2035 by committing to 100 percent clean energy and zero waste. It also requires at least 30 percent of the population to bike, walk or take public transit to work. In order to achieve this goal, city officials are urging higher-density projects to be built along major bus and trolley lines. During his term with Uptown Planners, Ward often found himself in the middle of two very verbal sides. The majority largely opposed density, favored height restrictions, and wanted density projects to be located on the west side of Park Boulevard to match up with North Park’s vision for the east side of Park Boulevard. 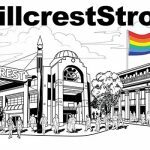 The minority mostly objected to restrictions on height and density, especially in the core of Hillcrest, saying that was the only way to encourage affordable housing and revive that community. Ward said community concern that the city is not keeping up with infrastructure is valid, but also notes that the line of thinking about preventing development before infrastructure is in place doesn’t work either. He vowed to fight to make sure District 3 gets its fair share of transit dollars. The San Diego Association of Governments (SANDAG) has placed Measure A on the ballot this November, saying that it will accelerate transit projects and acquire additional open spaces throughout the county. Voters are being asked to raise the sales tax by a half-cent to raise $18 billion over the next 40 years. Of that sum, $4.3 billion will be funneled back to local communities for upgrades and repairs. SANDAG officials said Measure A would speed up several major transit projects, including the Purple light-rail line from San Ysidro on the Mexican border to the employment centers in Carmel Valley, roughly via Interstate 805. That would connect the eastern edge of District 3 with the trolley system. Additionally, the North Park and Uptown CPUs document SANDAG’s plans to build a trolley from Downtown up Park Boulevard to El Cajon Boulevard, and east to SDSU, by 2035; a streetcar from Downtown to Hillcrest via Fourth, Fifth and University avenues and Park Boulevard, by 2020; and a streetcar on 30th Street from Adams Avenue to Downtown, by 2035. Ward said he was “big on public transit” and would push during his term to get projects started earlier than planned. Part II will run Nov. 4 in Uptown News. 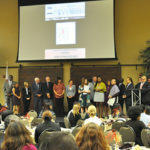 —Ken Williams is editor of San Diego Uptown News and can be reached at ken@sdcnn.com or at 619-961-1952. Follow him on Twitter at @KenSanDiego, Instagram at @KenSD or Facebook at KenWilliamsSanDiego. Interesting read. I have lived in SD all my life and formerly owned a home at Atlas and Chris is correct that development really helped that section of Hillcrest and the La Boheme did the same for 30th Street also 1 Mission in Mission Hills. I for one am for more density and the new life it brings.